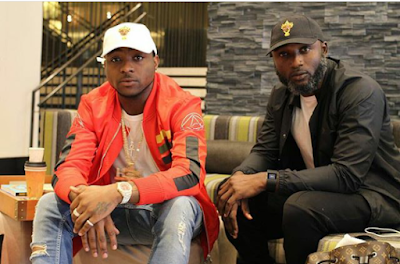 Nigerian artiste David Adeleke, popularly known Davido has sacked his manager, Kamal Ajiboye. He also announced that he would be managing himself for the year 2017 because he doesn’t want to put his life in another man’s hand. Ajiboye has worked with the DMW boss for about six years. Davido, whose real name is David Adeleke made the shocking announcement via his snapchat on Tuesday. “I am my own manager 2017!! Don’t put your life for another man hand,” the 24-year-old singer wrote. The artist who recently threw shades at D’Banj in a new single, Orekelewa, with DJ Jimmy Jatt, did not give any reason for firing his manager. Davido who had a drought of awards in 2016 also announced that he’ll be dropping 3 hot singles, one produced by Tekno and some featuring American artistes in 2017.